When we think of traffic violations involving traffic lights, we typically think of running a red light. However, according to a recent news feature from the La Crosse Tribune, a man was ultimately arrested and charged with a felony after a law enforcement officer witnessed him stopped at green traffic signal instead of driving through, as one is supposed to do. You might be wondering why a police officer or sheriff’s deputy would have valid probable cause to pull someone over for stopping at green light. The reason for this is because waiting at green light for an unreasonable amount of time is one of the many clues that a driver may be operating his or her motor vehicle under the influence of intoxicating liquor or drugs. These clues were developed, or more properly observed, by the National Highway Traffic Safety Administration (NHTSA) after decades of roadside observations. While it is true that someone could be stopped at a green light for 30 seconds or more for other reasons, such as looking at a cell phone, this would be distracted driving and is also a reason to pull someone over, as distracted driving is just as dangerous as drunk driving. Our Boston drunk driving accident lawyers have seen far too many cases where distracted driving has lead to a serious crash, and there have even been cases where a drunk person is also using a cell phone to text. 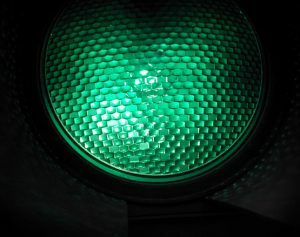 The reason stopping at a green light is so dangerous is because it shows that the driver who is intoxicated does not have the ability to focus on the situation at hand and to react appropriately to ever changing stimuli. If a person is sitting at green light and their brain cannot process what to do, or their body cannot step on the gas in a controlled manner, then it follows that here is no way this driver would be able to respond to an emergency situation ahead and step on the brake in time. This can result in serious personal injury or death as a result of a drunk driving accident. 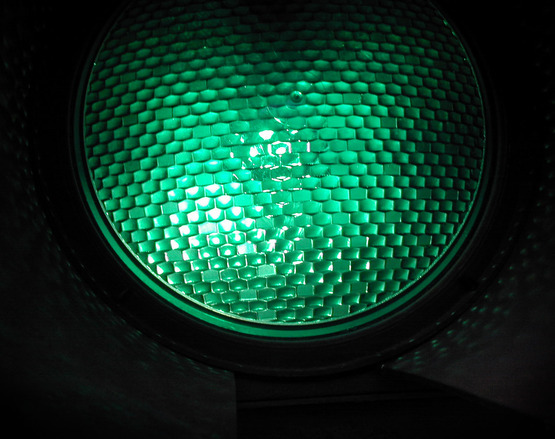 Additionally, other drivers approaching expect traffic to move forward at a green light. When other motorists behave in ways that are unexpected and contrary to the rules and guidelines of traffic flow, crashes result. This particular arrest occurred just before 2 a.m. when a deputy saw the defendant sitting a green traffic signal. At that point, the deputy decided to follow the suspect and when he turned around the corner, the suspect allegedly noticed the officer and ran out of the car leaving the engine and lights on and the doors open. The officer saw the suspect on foot and asked his name. The suspect allegedly said his name was “Michael Dumb Dumb.” He also said the pickup truck was not his. The officer pulled away and let him walk back to the car, at which point he approached the suspect and questioned him. He was eventually arrested for drunk driving. It is important to understand that, despite these serious allegations, the suspect is presumed innocent unless and until he is found guilty in a court of law by a judge or jury beyond a reasonable doubt.